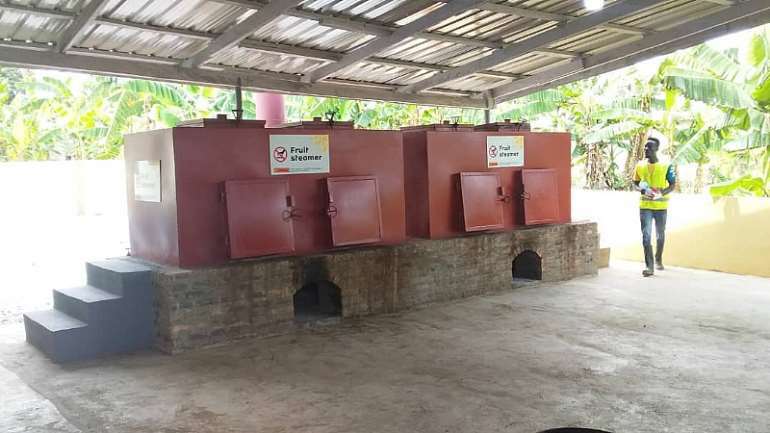 Economic activities are expected to peak within the Juaso community in the Asante Akim South Municipality of Ashanti region with the opening of an ultra-modern palm oil processing factory by the MTN-Ghana Foundation. The facility which costs Ghc 740,000 is to help women in the community extract and process the palm in a safe and comfortable space. The factory also has facilities such as washrooms, changing rooms, cafeteria, offices and a power plant. Women within the community who are into palm oil production, until the construction of the factory by the foundation were using a part land at a cluster of schools to engage in the business. Their continuous activities posed serious health risks to the school kids and the women themselves. The foundation took the women through training in modern ways of processing oil palm, entrepreneurship, business management and technology as well as sponsoring them with study tours in Ghana and Ethiopia. Speaking at a ceremony to commission the facility, a member of the Board of Directors for the MTN Foundation, Mrs. Nabila Williams said the foundation after assessing the benefits of the factory would have on the Juaso community decided to invest in the project. She indicated that the opening of the factory will go a long way to enhance the economic lives of the women in the trade. She advised the beneficiaries to practice personal and environmental hygiene to enable them to attract more customers to the facility. She stressed that many of such projects initiated by Non-Governmental Organizations (NGOs) across the country have collapsed due to the lack of continuous training of beneficiaries to equip them and further sharpen their skills in the field they operate. Mrs. Williams appealed to Chiefs and Government officials in the area to organize periodic capacity building programmes for the beneficiaries to enhance their skills locally and internationally. Chief Executive Officer (CEO) of MTN-Ghana, Selorm Adadevoh disclosed that the commissioning of the oil palm processing facility brings to 145 the number of projects the MTN Foundation has undertaken since its inception. According to him, the establishment of such projects is way of giving back to society and also empowering the ordinary Ghanaian economically. Mr Adadevoh called for proper maintenance of the facility to make it useful to the entire community and generation yet unborn. 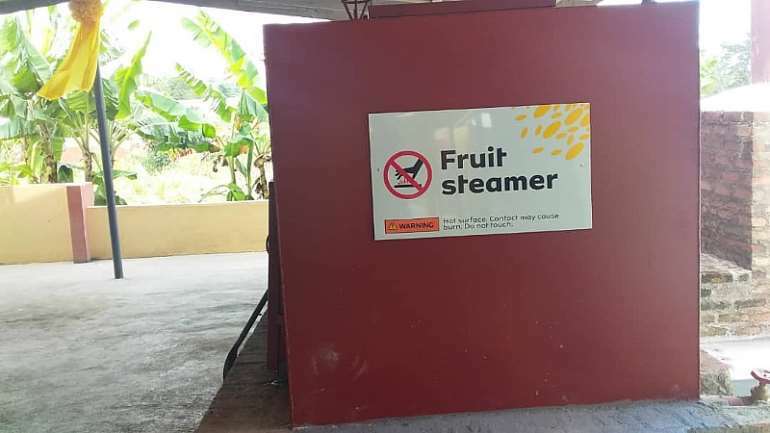 The leader of the Palm Oil Extractors Association in the area; Theresa Owusu appealed for supplies of the raw material since they have difficulty in getting palm fruits to process. She disclosed that the Association was ready to start a palm plantation if they are able to obtain land. This she added will ensure constant supply if they put up a farm. 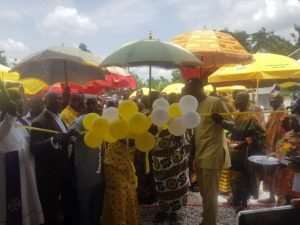 There was joy and excitement among residents who gathered to witness the commissioning of the project. Chief of Juaso, Nana Kwasi Tabi commended MTN-Ghana for the honour and urged the beneficiaries to work hard towards ensuring the project benefits the entire community.